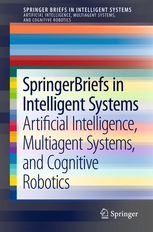 SpringerBriefs book series on Intelligent Systems -- Artificial Intelligence, Multiagent Systems, and Cognitive Robotics (Intelligent Systems). Co-edited with Karl Tuyls. Multiagent Systems, Artificial Societies, and Simulated Organizations (MASA). International Journal of Autonomous Agents and Multiagent Systems (AAMAS). International Journal of Agent-Oriented Software Engineering (IJAOSE). Editorial Board Member. International Journal of Information Sciences (IJIS). Editorial Board Member. International Journal on Engineering Applications of Artificial Intelligence (EAAI). International Journal on Intelligent Decision Technologies (IJIDT). Editorial Board Member..
International Journal of Web Intelligence and Agent Systems (WIAS). Editorial Board Member..
International Journal of Knowledge and Information Systems (KAIS). Associate Editor. International Journal on New Generation Computing (NGC). Editorial Board Member. International Journal of Software Engineering and Knowledge Engineering (SEKE). Associate Editor. International Journal of Systems Sciences (IJSS). Associate Editor. Scientific Management, Advisory Committees, Memberships, etc. Member of the ICT Platform Netherlands (IPN), since 2017. Founding member and member of the steering committee of FieldLab Robotics (Netherlands), since 2017. Elected member of the Board of Directors of the International Foundation for Autonomous Agents and Multiagent Systems (IFAAMAS), 1998-2001 and since 04/2016. 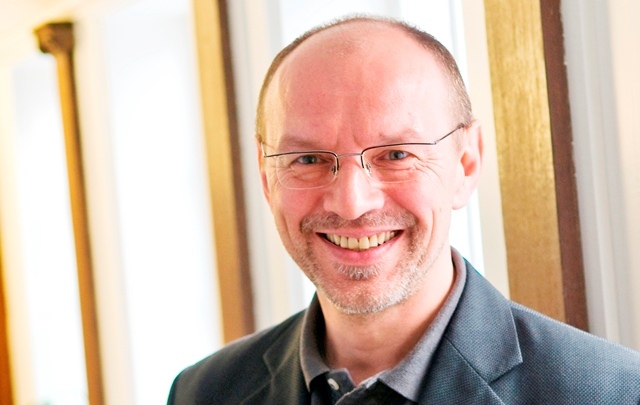 Member of the Scientific Advisory Board of the Institute for Mobile Autonomous Systems and Cognitive Robotics (MASCOR), University of Applied Sciences Aachen and RWTH Aachen, Germany, since 11/2015. Vice-Dean, School of Information Technology (SIT), Transnational University Limburg (tUL), since 01/2013. Contact Point of the EURON (European Robotics Research Network) for DKE, since 2/2012. Member of the Informatica Kamer, Netherlands (2011-2013). Chair of DKE, since 2010. Member of SIKS (Netherlands research school for Information and Knowledge Systems), since 1/2010. Member of the 2013 Prize Committee of the EAAI journal. Scientific Director of SCCH (2006-2009). Advisory Board Member (since 2008) of EU/FP7 COST Action on Agreement Technologies (AT). Scientific Board Member (2002-2006) of the European Network of Excellence for Complex Systems (EXYSTENCE). Speaker (2000-2005) of the German Special Interest Group of DAI of the Gesellschaft für Informatik (GI-VKI). Management Board Member (1998-2001) of the European Network of Excellence for Agent-Based Computing (AGENTLINK). Member of the Gesellschaft für Informatik (GI, German Computer Science Association). Member of the Association for the Advancement of Artificial Intelligence (AAAI). as Program Committee Member (PC), Steering Committee Member (SC), Chair, etc.